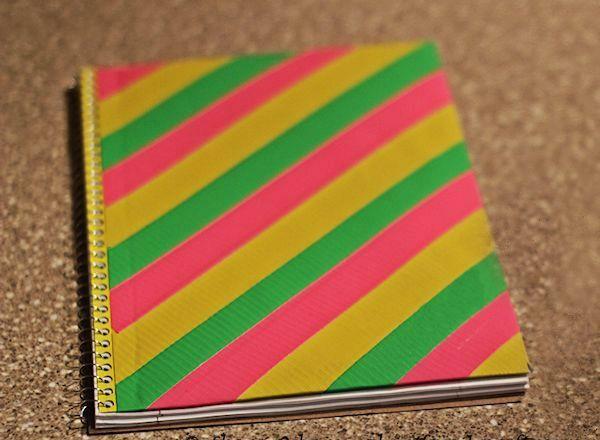 Protect you notebook or any other copy’s cover with duct tape. Duct tape will give you a semi hardcover and shield the edges and corners from scuffing. 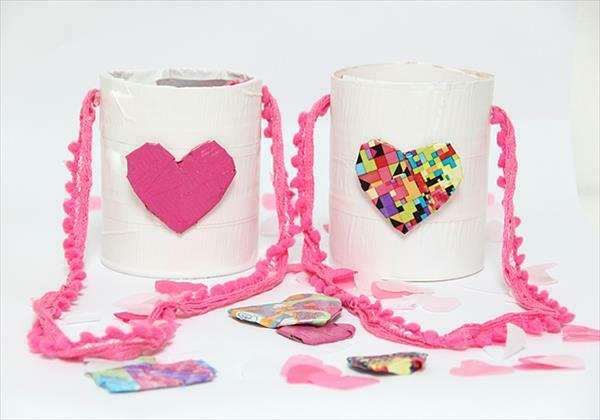 You can use any color and make any pattern that you like. In this project, a diagonal stripy pattern made its way to the list’s top. Now pick up your notebook and follow these steps. Decide on the color repetition you would like. For this, we took three colors and repeated these alternatively. 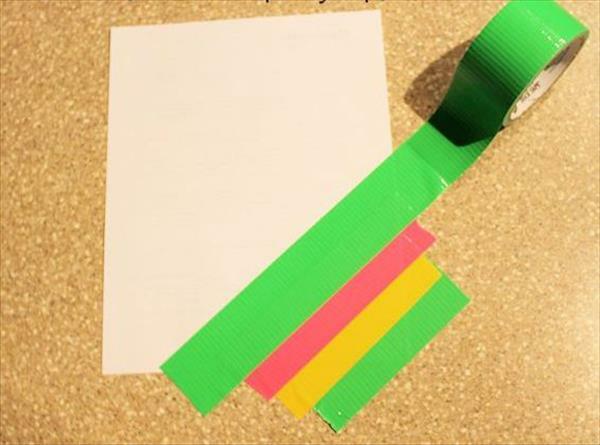 Place the paper on your work top or table and cut a small piece of colored duct tape to fit the corner. Stick it on the paper. Eye ball a slightly bigger strip and overlap it on the previous tape on the paper. Repeat this step until you have covered all your paper. 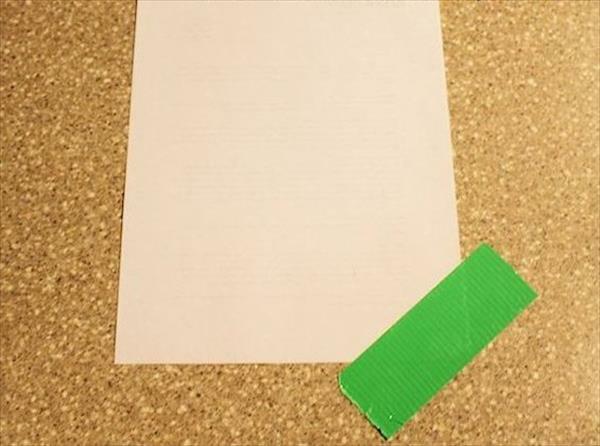 When done, invert your paper with the tape face down. Place your scale against the lengthy side and trim off. This will go next to the spine of your notebook. Lave all the rest of the sides without trimming. 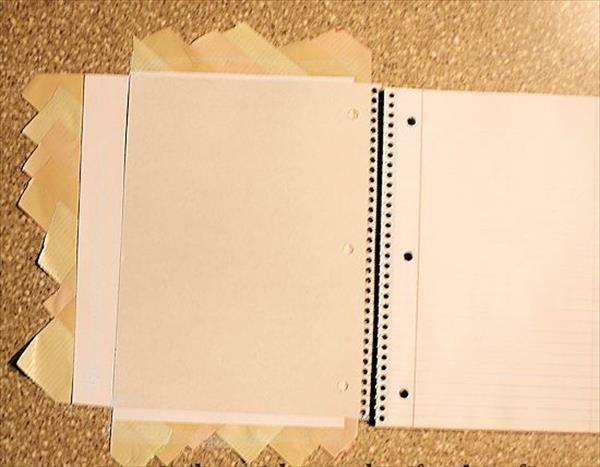 Place your notebook with the cover open on the taped paper and align the neat side to the spine. 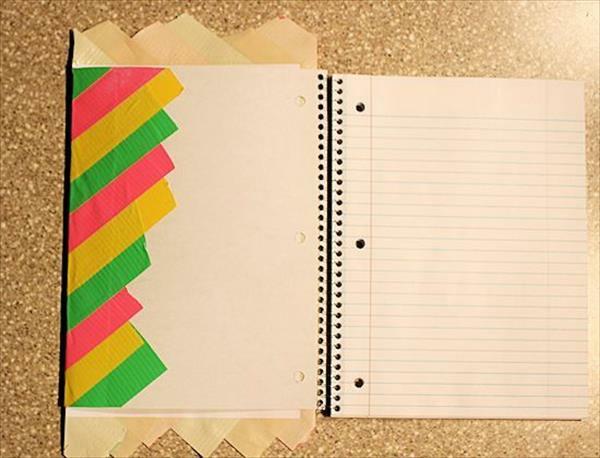 Fold over the overhanging tape of the remaining three sides taking in the notebook cover. Inscribe any message or simply your name and your notebook is ready.